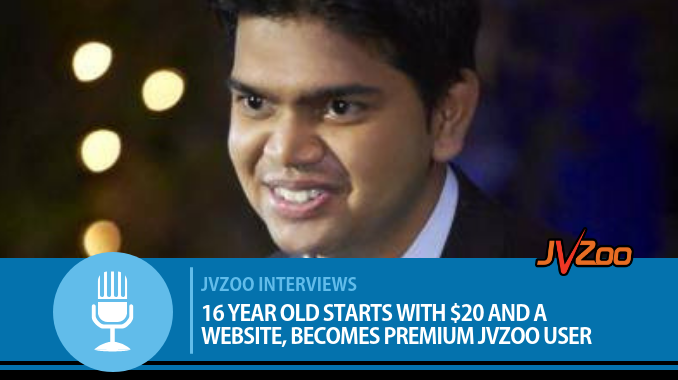 JVZoo Premium User, Paul Ponna has built a very successful internet business over the years. Having started out at only 16 years old, he overcame obstacles through his determined effort and unwavering persistence and has wealth of experience and knowledge to share. You may have seen his name mentioned in our recent blog post celebrating our Top Affiliates, New Affiliates & Top Performing Products & their Owners for the month of August in which Animation Studio was #1! Today, Paul shares his thoughts on what he would have done differently if he had to start from scratch and the very first thing he thinks you should do on JVZoo today! JVZoo: Hi, Paul! Let’s start with some easy questions. Dogs or Cats? PP: Dogs – they tend to be a bit more loyal than cats. PP: Book – nothing beats having something in your hand to highlight and reference back to. PP: I think neither. What’s more important is constantly striving to improve yourself on a consistent basis and having a vision to live to your full potential and the rest will come in due time. JVZoo: What prompted you to begin your internet marketing career? JVZoo: If you could start over, what would you do differently? PP: I would have probably done better goal-setting, big-picture thinking and have more of a holistic perspective on life. This includes a well-rounded life with importance given to health, wealth, growth and happiness. Because long-term success and overall purpose can be achieved only when we reach our true potential in all these aspects of life, not just one. JVZoo: What has been your biggest success to date in your online career? PP: To take care of my family and make them proud. That, to me, is my greatest success as no matter how much success I achieve or awards I win, family always keeps me grounded and humble. They are the reason I became an online entrepreneur in the first place. JVZoo: What is the #1 thing you would recommend people do today on JVZoo? PP: The #1 thing you need to do to succeed in anything is to be really good at it. There are no shortcuts to gaining the foundational knowledge on a particular subject. You must internalize the knowledge, implement what you learn along the way and then your experiences will chart your growth going forward after implementation. So whether you are trying to be a successful Vendor or Affiliate, you need to make sure you soak up as much foundational knowledge as you can and then once you have done that, seek qualified mentors to guide you through the advanced stuff and constraints you are facing. I think Bruce Lee said it best when he said, “I fear not the man who has practiced 10,000 kicks once, but I fear the man who has practiced one kick 10,000 times.”. The most successful people on JVZoo are usually people who are really good at one specific skill (they are about average at the rest). So, your #1 goal should be to master just one skill rather than get overwhelmed and just give up trying to be good at everything (you can always outsource stuff you are not great at). JVZoo: Where can we find you online? JVZoo: Thank you for your great insight, Paul. Is there anything else you would like to add? PP: Thank you for this interview. I hope it inspires people to reach their goals. Are you interested in being interviewed and featured on our blog and social media channels? We’d love to share your story, insights, and advice! Let us know by filling out this form and we will be in contact with you soon!